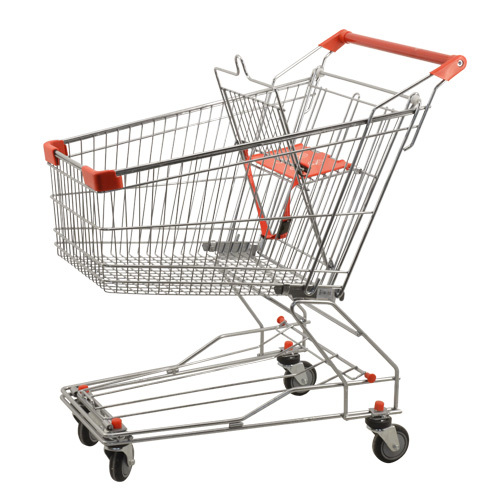 Allow your customers to conveniently shop and stock up on products in your grocery store with this shopping cart. This shopping cart is manufactured using high-grade materials such as zinc and chrome. 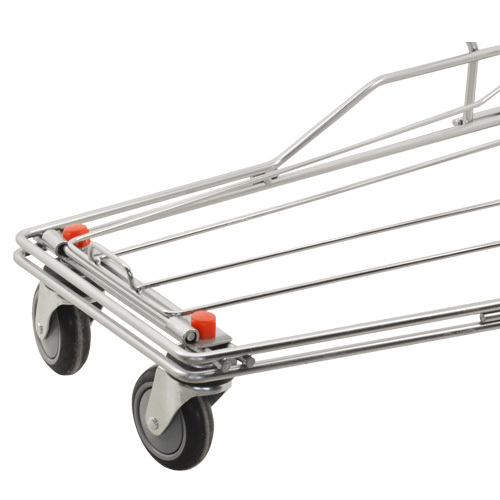 While it may appear simple, this durable cart can hold up to 110 pounds. 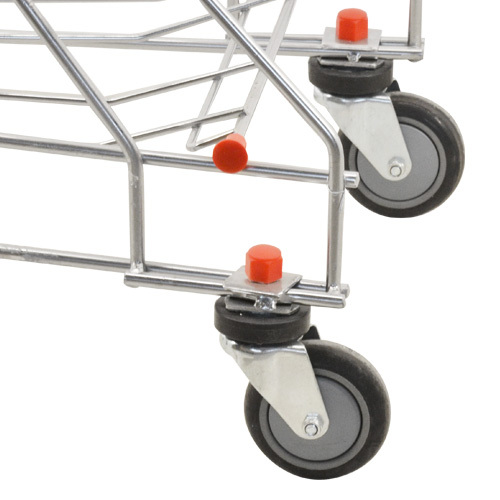 It comes with two front swivel casters and two fixed rear casters for an effortless mobility use. 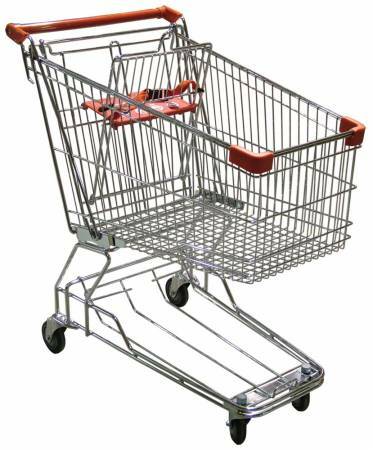 It comes complete with a child seat and restraining strap to keep for any children accompanying a shopper. 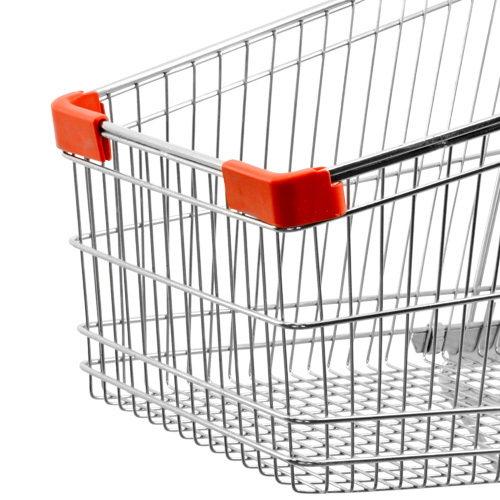 For grocery stores and markets, this shopping cart will keep all your customers content with their overall shopping experience.